By Daniel Kalinaki — A review of Uganda’s External Security Organisation is underway following the uncovering of a Sudanese espionage operation with access to highly classified briefs, according to well placed sources in the region. The review follows the expulsion, earlier this month, of a Sudanese diplomat from Kampala over allegations of espionage. Ugandan intelligence sources say Jad el-Seed Mohammed Elhag, a liaison officer at the Sudan embassy in Kampala, was the mastermind of a spying operation that had infiltrated Uganda’s external intelligence. The diplomat left the country within 24 hours of being caught in a sting operation by Ugandan counter-intelligence officials while trying to buy classified intelligence documents. A clerk in Uganda’s External Security Organisation, Stephen Kisembo, was last week charged in a Kampala court with stealing and selling classified documents. Ugandan intelligence believes that Mr Kisembo sold classified intelligence documents, including weekly briefs sent to Uganda President Yoweri Museveni, to his Sudanese intelligence handlers between 2009 and 2010. A review is underway to find out how extensive the Sudanese spy network is and how far its tentacles spread within Uganda’s military intelligence. A source told The EastAfrican the Sudanese spying operation was “potentially one of the largest intelligence leaks” in many years. In August, President Museveni ordered the Office of the Auditor General to conduct a special audit into the classified expenditures of the External Security Organisation following allegations of misuse of funds and disgruntled operatives. Uganda and Sudan have had a cat-and-mouse relationship over the past two decades, with Khartoum supporting Joseph Kony’s Lord’s Resistance Army rebels in retaliation for Kampala’s support for the Sudan People’s Liberation Army, and its continuing military and political support to Salva Kiir’s Government of South Sudan. The animosity between the two countries died down after the signing of the Comprehensive Peace Agreement between Khartoum and the SPLA, and relations warmed after South Sudan broke away from Sudan. However, Khartoum has increased its intelligence interest in Uganda after dissidents and rebel groups under the Sudan Revolutionary Front signed a charter in Kampala in January pledging to overthrow Omar al-Bashir’s regime. The rebel groups represented included the Sudan People’s Liberation Movement-North, the Justice and Equality Movement, the Sudan Liberation Army-Abdel Wahid, and Sudan Liberation Army -Minni Minnawi. Sudan responded by filing three complaints against Uganda with the African Union, the Intergovernmental Authority on Development, and the International Conference on the Great Lakes Region. President Museveni and President Bashir met in Addis Ababa on the sidelines of an extraordinary African Union Heads of State Summit two weeks ago at the request of the Ugandan leader to review their relations. It was the first time the two principals were meeting in three years and President Museveni sought to reassure President Bashir, who was facing urban unrest in Khartoum as well as continuing insecurity in Darfur, that Kampala’s foreign policy did not seek to support regime change in Sudan. However, sources said that Mr Bashir presented President Museveni with evidence showing that Sudanese dissidents in Kampala were receiving some form of support from Ugandan security officials. President Museveni reportedly agreed to investigate the claims and end any active support to Sudanese dissident groups in Uganda. In a statement issued after the “friendly and frank” meeting of the two principals in Addis, Sudan’s Foreign Affairs Minister Ali Karti said Mr Museveni’s response was more encouraging than in previous engagements. “I do not think that we are now in a position that we can say there is a solution to the problem, but in my opinion there is progress in the understanding of the Ugandan President of the seriousness of the request of Sudan and the information put forward by the president of the republic,” he said. On Thursday, the Sudan Tribune website reported that the Ugandan embassy in Khartoum had withheld a visa to a Sudanese opposition politician who planned to travel to Kampala to attend a Sudan Revolutionary Front meeting. The website reported that the embassy deferred a decision on a visa pending consultation with Kampala after al-Sadiq al-Mahdi of the National Umma Party indicated that he also intended to meet with President Museveni. The National Umma Party had earlier announced that it signed an agreement with the Justice and Equality Movement and Sudan Liberation Movement of Minni Minnawi. The presence in Kampala of representatives of political and armed groups with an avowed aim of toppling the Khartoum regime could potentially complicate relations between Uganda and Sudan. 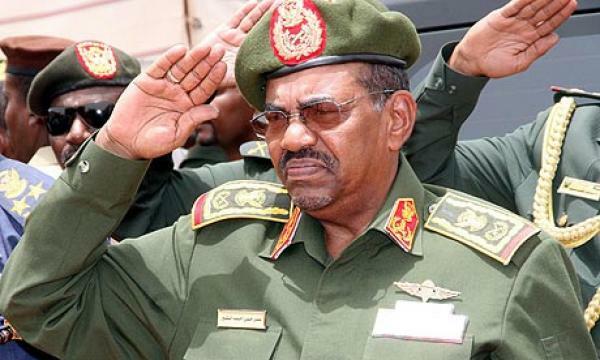 President Bashir has been facing domestic unrest in Khartoum sparked off by economic hardships and over 200 people were reportedly killed last month as security officers cracked down on demonstrations. In response, the Sudanese leader has gone on the diplomatic and political offensive, holding talks with President Kiir of South Sudan over the contested Abyei border region while pushing dissenting voices out of his ruling National Congress Party.